The world news is shocking - literally it truly is! Everything is happening at alarming rates unheard of in the history of the world. As a Christian, these horrible events have made me think even more than ever before at just how close the return of Jesus must be. I personally have always been fully aware of the second coming of Christ and have looked forward to that amazing day. I have had many people try to explain to me that Jesus' return must be so close - "a minute to midnight" one dear Christian elder in the church once said to me and yet - it seems to me that Jesus must be delaying His return for a reason. With the event of the holocaust for example many thousands of believers truly thought that Jesus' return was imminent - during that horrendous, despicable time, God's own chosen people were murdered, tortured, driven away, starved, beaten and horribly discriminated against. And yet here we are in the 21st century and nothing seems to have changed in fact things have got considerably worse. So with that in mind I have started my research into the 'Heavenly's" to see what God Himself says about these 'last days'. I began my search in Matthew 24 - the very words of Jesus Himself - "Immediately after the distress of those days 'The sun will be darkened, and the moon will not give its light, the stars will fall from the sky and the heavenly bodies will be shaken." That verse drove me to Isaiah 13 which virtually predicts exactly the same and to Luke 21: 26 -28. 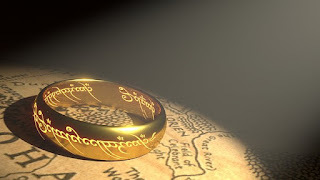 "People will faint with fear and with foreboding of what is coming on the world. For the powers of the heavens will be shaken and then they will see the Son of Man coming in a cloud with power and great glory. Now when these things begin to take place, straighten up and raise your heads, because your redemption is drawing near." The very heavens will be shaken? So the heavens will herald the coming of Jesus? So we should look to the heavens for signs of our Saviour return? So armed with my scant knowledge of the return of Christ and my trusty laptop I began a Google search through the heavens for any signs - and I was surprised at the results I found. I first started with the sun - that glorious creation that keeps us all here alive and kicking. 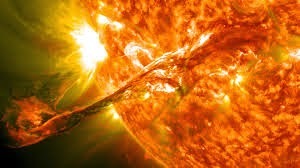 Well according to Space.com the sun unleashed some sort of amazing eruption of plasma back in 2012 in back to back 'solar storms' called the incredible name of a "Solar Prominence" sounds awesome doesn't it. In an interview, physicist Michio Kaku related how he personally is getting pretty worried about the recent 'solar flares' and said that the sun is 'having temper tantrums and is getting worse and worse". he continued in the interview saying that "My greatest fear is the earth could be hit by a large solar flare, and all hell could break loose." Profressor Kaku is carefully watching the signs in the sun especially these amazing giant eruptions called "solar prominence" and solar flares becoming more and more frequent. I then turned my attention to meteorites and the chance of these huge rocks hitting our tiny vulnerable little earth. The meteor is estimated to weight up to 10,000 tons and was travelling 64,400 km/h when it exploded. It was substantially more massive than first thought. The blast, when it exploded, had power estimated of about 500 kilotons around 30 times larger than that of the nuclear bomb dropped on Hiroshima in 1945. It caused shockwaves that injured 1200 people and damaged 1000's of homes and businesses. The happenings in our heavens are a sure sign that God is preparing us for the return of His son. Jesus is coming back with power and great glory and at that time 'Every knee will bow...every tongue confess that Jesus Christ is Lord to the glory of God the Father." Philippians 2: 10-11. I truly feel that our world is about to change forever. God is warning us loud and clear on the BIGGEST screen ever. The very heavens are speaking to us - thing is are we listening??? One thing I have learned from this study is that Christ is indeed coming again and that if we aren't ready for his amazing return then we will be left behind, we will not be part of His reign and we will be excluded from eternally living with Him in the place where He has prepared for us. How do you get ready for this astounding, incredible time? By asking forgiveness for your sins which have separated you from God, asking God to lead your life and surrendering your life entirely to His control. So like it says in Luke 21 - we look up to the heavens to see the wondrous works of God and see his promises coming true - We look up for our salvation and redemption is written above for all of to see. Praying with you, BeLove brother in Christ, that one in need will open their hearts to hear the message of the Gospel of Salvation and receive the gift of grace. Praying as I share your message. God bless you and yours and giving thanks for you.